Struggling With Headache Pain in Oakville? 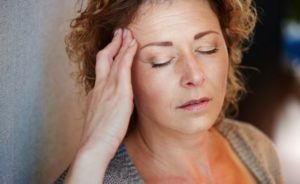 Resigning yourself to "learn to live with" headaches and migraines can make you feel depressed, and in the worst-case scenario, leave you unable to function at any capacity. Medication may help in the short term, but when the problem is ongoing or re-occurring, pills are generally not enough. The source of your pain is usually structural, and therefore proper gentle chiropractic treatment can help you overcome this debilitating issue. Headache relief at our Oakville Chiropractic clinic may be just the solution you are looking for. This muscle tension can lead directly to an acute headache or migraine. Over time the tightness can also pull your bones out of alignment leading to more persistent headaches and migraines. A headache or migraine can be a sign that there are deeper problems arising in your spinal column, and because every other system in your body is impacted by your spinal health, it is very important to deal with these issues when the signs begin to arise. Chiropractic care has a long history of successfully treating headaches and migraines. Your Oakville Chiropractor has an extensive understanding of subtle issues occurring in the spine that can cause you to experience headache. At Oakville Injury and Pain relief we begin with a thorough evaluation that will rule out other possible causes of your headache and examine your spine for issues of misalignment. The assessment will determine the exact type of treatment that is necessary for the specific issue to address the root cause of the pain. Using gentle and non-invasive Chiropractic techniques (adjustments) to the spine that, although they may seem subtle, can provide almost instant relief and restore your long-term health. Unlike medications, which treat the problem on the surface level and provide only short-term relief, a chiropractic adjustment will address the cause of your headache or migraine and provide lasting results that will improve your quality of life. If you are struggling with the pain and misery of migraines or headaches contact us today for help.